After reminding myself about some old stamps yesterday, I broke out some new stamps and dies for today. 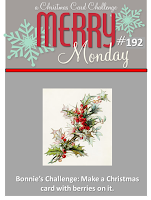 I am linking this up to Merry Monday where the theme is berries. 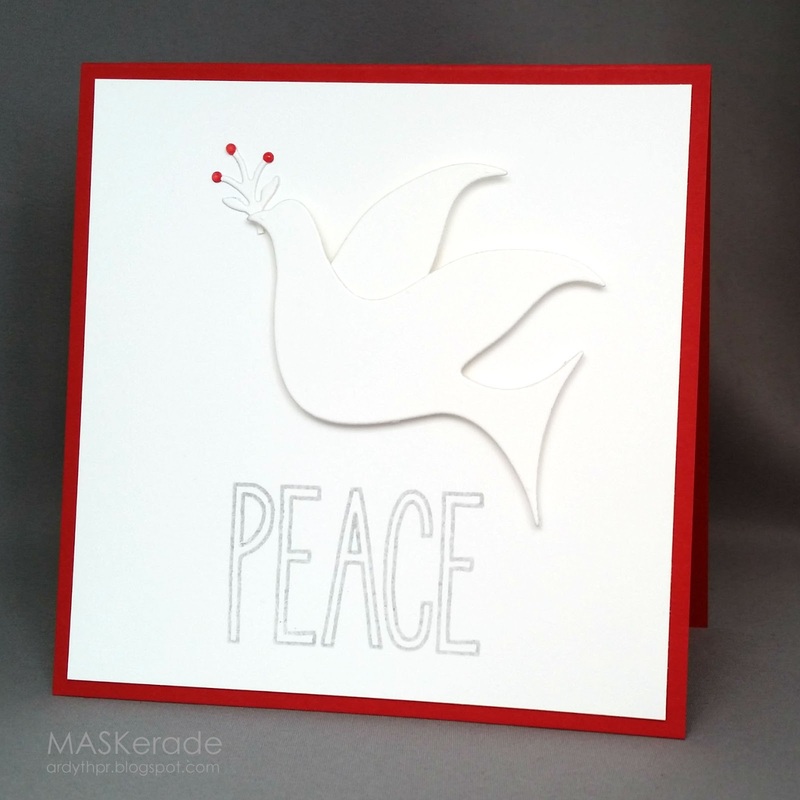 I love this modern dove from Dee's Distinctively and thought he would pair well with a graphic sentiment from Neat & Tangled. The branch is from Impression Obsession. I coloured the berries with a red copic and put a tiny dot of Glossy Accents on top for shine and dimension. What a stunning card Ardyth!! Love - so clean and crisp. Exquisite, Ardyth! Thanks for sharing this with us at Merry Monday! So beautiful, Ardyth!!! Love that a dove!!!! So elegant Ardyth. Love white and red. Thanks for joining us this week at Merry Monday. WOW|! BEYOND STUNNING! Clean and simply elegant! Beautiful CAS card. Thank you for playing along with Merry Monday.